Did you know that all children are musical? Have you ever wondered what you can do to nurture the musical growth of your child, even if you think you can't sing? We invite you to come to a Music Together class and find out! Music Together is a delightful, joyous approach to music-making with your child. 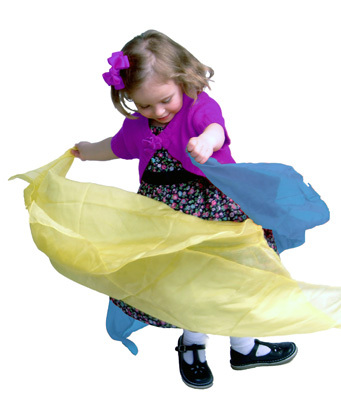 For infants, toddlers, preschoolers and the adults who love them, this exceptional program (developed by the Center for Music and Young Children in Princeton, New Jersey) offers families an opportunity to sing, dance and play rhythm instruments together in a relaxed, playful, non-performance-oriented setting. It nourishes parents' efforts to create a rich musical environment at home, regardless of their musical abilities. Classes are specifically designed to accomodate the unique learning styles of the very young while being highly engaging to their adult companions. Activites are designed so that ALL ages can participate happily at their own level, no matter their aptitude or skill. Music Together® is based on the philosophy that all children are musical; you may be surprised to find that you are too! This is the essential Music Together® class, one that a child can attend from birth through age four - and through all nine song collections. Child development researchers recommend mixed-age groupings because they foster natural, family-style learning. Younger children enjoy watching and imitating older ones; older children learn by leading younger ones; and adults are happy because the children in the family can go to class together. Each child participates at his or her own level in singing, moving, chanting, listening, watching, and exploring musical instruments. The class provides a variety of adult-child activities that are fun and offer new ways to play musically at home. Parents, grandparents, or nanny, individually or together, may accompany the children. The whole family is welcome for this important family music experience. For families who feel more comfortable in a smaller and more relaxed Music Together® class. Perfect for children with special needs as well as typically developing children ages birth through early elementary. Siblings encouraged, and sibling discounts apply. Supportive Family Classes are led by a certified music therapist. Every child's music development benefits from early exposure to music and movement. Because the early months are so important, Music Together® offers two options for babies. Infants may attend a mixed-age class, whether registered on their own or attending free with an older sibling. They may also be registered for the special "Babies Class" offered as a one-semester introduction to Music Together. The music activities and materials are specially designed for parents who want to learn as much as possible about music development in infants. Rhythm Kids® is an exciting music, movement, and drumming class supporting the Music Together® philosophy that all children can complete the pathway of early childhood music development from birth through age 8. Children will sing, dance, move, drum, and play to songs and beats from around the world while they integrate and assimilate rhythm in new ways. Music Together® Sing Shalom is a pilot program being developed in collaboration between The Jewish Education Project and local Music Together® centers in NYC and Long Island. The weekly parent-child music classes are uniquely designed for Jewish families with young children, using the internationally recognized Music Together® early childhood program enriched with songs from throughout the Jewish world. In this unique and powerful multigenerational Music Together® program, young children and their grownups make music with "Grandfriends", the senior residents at Sunrise Assisted Living in Dix Hills. Families discover the value of intergenerational relationships, while elder participants experience the joy of music-making with young children. A win-win for all! Music Together art & logo design © 1992-2019 Music Together LLC.